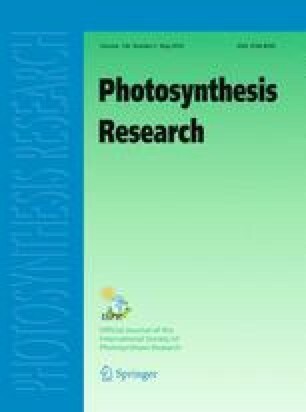 Dissipation of absorbed excitation energy as heat, measured by its effect on the quenching of chlorophyll fluorescence, is induced under conditions of excess light in order to protect the photosynthetic apparatus of plants from light-dependent damage. The spectral characteristics of this quenching have been compared to that due to photochemistry in the Photosystem II reaction centre using leaves of Guzmania monostachia. This was achieved by making measurements at 77K when fluorescence emission bands from each type of chlorophyll protein complex can be distinguished. It was demonstrated that photochemistry and non-photochemical dissipation preferentially quench different emission bands and therefore occur by dissimilar mechanisms at separate sites. It was found that photochemistry was associated with a preferential quenching of emission at 688 nm whereas the spectrum for rapidly reversible non-photochemical quenching had maxima at 683 nm and 698 nm, suggesting selective quenching of the bands originating from the light harvesting complexes of Photosystem II. Further evidence that this was occurring in the light harvesting system was obtained from the fluorescence excitation spectra recorded in the quenched and relaxed states.